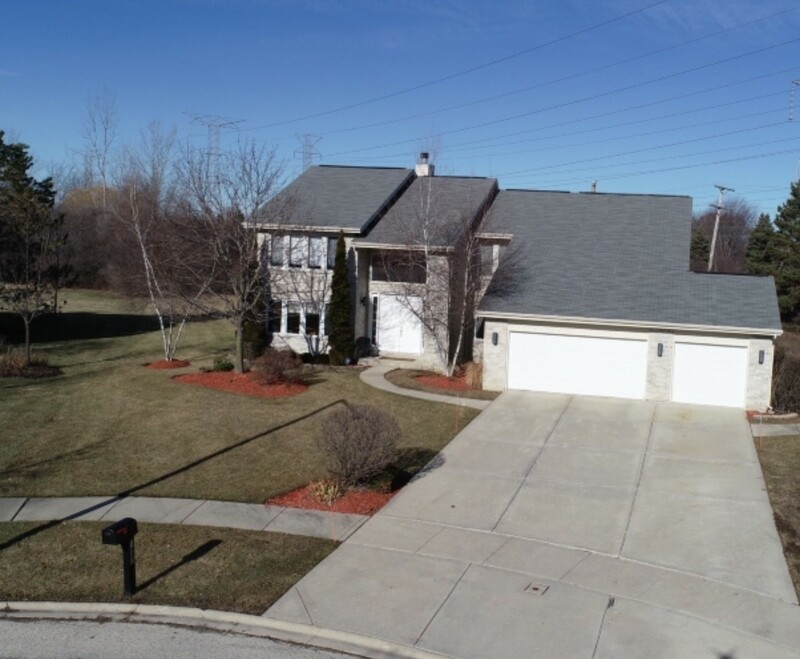 Very "spacious" contemporary with soaring ceilings, 2 story entry, oversized rooms, step down living room with see through fireplace to enormous family room with vaulted ceiling!! Gorgeous open dining room!!! "Open" floor plan perfect for entertaining!! !Great kitchen with granite counters, island, "pantry" & "new" appliances. Very large office/den/bedroom on 1st floor. 1st floor large laundry room. New Carpeting. Full finished basement w/wet bar, family room area, bathroom, & 3 bedrooms. Huge private lot on cul-de-sac!! !